The LIVE Cooking School show begins at 7:00 p.m.., but doors will open at 4:00 p.m. for the Vendor Expo. Come early and enjoy the many vendor booths! 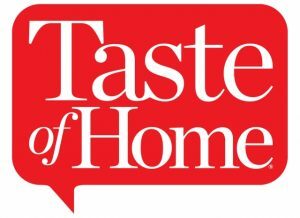 Every ticket holder will receive a gift bag filled with the Taste of Home Cooking School magazine, coupons and other goodies from national and local sponsors, plus a subscription to a digital edition of Taste of Home magazine! Taste of Home Culinary Specialist, Karen Davis, will share her home cooking tips and tricks while demonstrating step-by-step recipes for the seasons best dishes. Find out for yourself why people keep coming back to the Taste of Home Cooking School, year after year! Food, fun, and delicious memories are waiting for you, so get your tickets today!